I mentioned the other day that I was puzzling over a cute summer wardrobe for my upcoming family road trip from Oregon through Idaho, Montana, Wyoming, and South Dakota. The cowboy-themed Western look is now what this West Coast girl is used to, so I've been looking around for inspiration and thinking about my previous trips out there. So, I was looking for something a little more structure and almost 50's/60's Betty Draper summer frock flare. 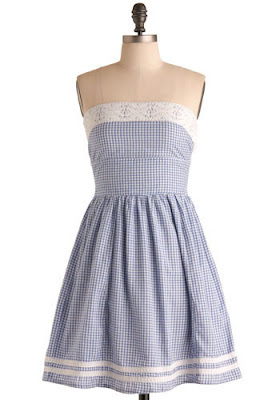 I liked the blue and white Wizard of Oz-ey dress by Mod Cloth a lot, and looked at my pattern stash and found New Look 6557, with a modification similar to that. I've had this pattern for YEARS, in fact I think it's the first pattern I ever bought to make for myself, and I've made it four times, I think? It's super easy. This was the pattern I learned to sew actual garments on! So, I put together the gathered tube-top halter style, modified to end at the natural waist rather than dipping below, and gave it a retro gathered skirt. I made the skirt pretty long, and added some vintage lace that I have had for a while--a long piece that has been torn and mended in a few places and looks like it came off a sheet or tablecloth many years ago. I also put some on the top! It looks nice! I like the lace on top .. ties it in well. Just beautiful! 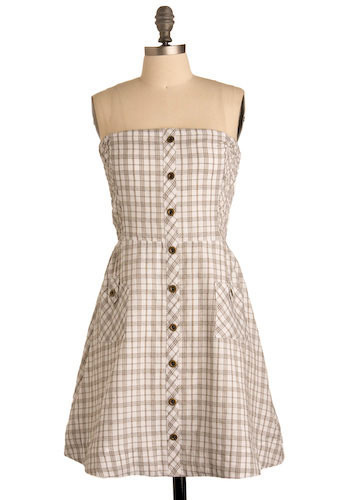 This plaid is wonderful (sometimes I think they verge on hideous.) Yellow seems to be the rage lately, and this touch of the color is just enough. You look absolutely adorable. The colors will serve you well into the end of summer, pair it with a small cardigan or shrug when it begins to cool off and it will still be the perfect little dress. Love the gathered skirt with the extra length and the lace trims. This is a winner, enjoy your trip! Super cute. It will also be nice and cool in the hot weather. We took a similar road trip in our RV when I was in 7th grade, I remember getting in trouble in South Dakota when we went to Mt. Rushmore because I made my 3 year old brother cry because I told him the heads were going to come alive and eat him. Your dress looks wonderful on you and it's actually prettier with the way you did your lace than the "oz" style. Great job! Enjoy your trip. So cute for the summer. Love the lace touch! That is SOOOOO adorable! I love the look of it, it's is definately vintagey and retro chic! you remind me of rachel mcadams in the notebook with this dress one! Your dress is definitely perfect for your trip across the desert. Now all you need to do it add some beautiful turquoise and silver jewelry or some a great red, wood-beaded necklace. Wow! You did a great job, and it looks so much like your inspiration pieces. Just perfect for a trip out west... I'm so impressed by how quickly you can put together such cute dresses! That is the first pattern I ever bought for myself too. But I have never even opened it. Its east hu?? Maybe I'll give it a try. Yours turned out beautifully. That is my favourite garment you've made so far! 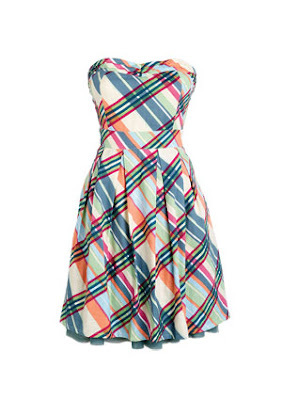 I love how you played with the pattern orientation, and I LOVE the lace insert on the hem. PRETTY and so feminine and delicate. The shape is adorable and I think it's really tasteful and cute! I must say, I read your posts regularly and you are SO TALENTED! That is soooo cute! You'll definitely be the most stylish at the family reunion! I am new to sewing and would love to sew garments! I love that you mentioned this pattern as your first. Do you have one that you could recommend for me? Thanks! It's lovely. I really like the lace touches that you added, it makes the dress so pretty and feminine. I hope you'll have lots of fun on your trip! I have made this dress, I just love it so cool to wear in summer time. If you are heading through Cody you need to eat at the famous Irma hotel. Oldest building, Buffalo Bill built it and named if after his daughter. Nice authentic western hotel that hasn't changed that much. Thanks, everybody! Great response to this dress. I was thinking, with the extra length, to really make the look I should wear a puffy petticoat with it! Sarah L, we're driving through the Northern/middle part of Wyoming from Billings to Rapid City, then on the way back stopping in Casper. In previous summers I have driven through Yellowstone and east from there, very nice! Morgan, I do recommend this pattern or a similar one if you know how to sew simple things already. It's not too many pieces or too complicated. It really taught me how dresses and garments are constructed--for almost all of them, they go together pretty much the same, it seems to me now! That is super cute! You always see past the pattern - I'm not so good at that! 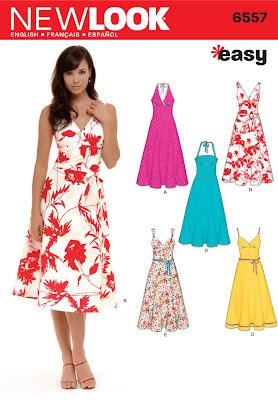 "Adorable set of Feminine dresses! They are well fitted to flatter and flirt away! 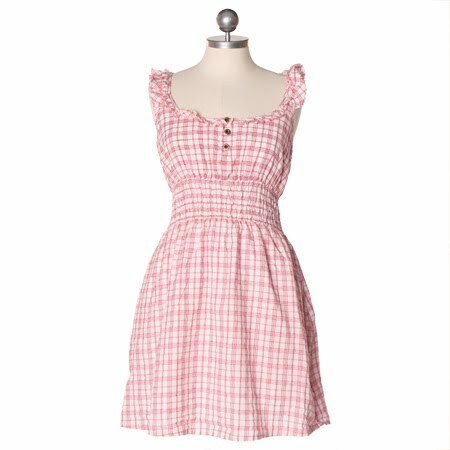 Very girlish and perfect for a summer look!